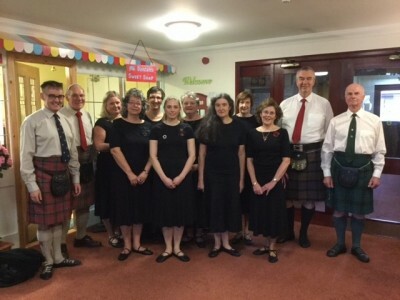 Welcome to the Dumfries Branch of the Royal Scottish Country Dance Society. Due to the May bank holiday the class on Monday 6th May will be held in Locharbriggs Community Centre, starting at 7.30pm. William Williamson took some photos at a recent Monday class. You can see them in our Galleries. We had yet another great evening’s dancing at our Ball. It started with a wine reception accompanied by live bagpipe music. Then super music from James Coutts and his band for the dance. And supper, of course. You can see some photos in our Galleries. We were delighted to welcome dancers from other areas at the workshop we held in January. You can see some photos in our Galleries. You can see some photos from our Christmas Dance in our Galleries. As there were no photos on the website of any of our Branch classes, Branch Chairman, William Williamson, took some which you can see in our Galleries. We held a very successful half-day school and evening dance in September and were delighted to welcome dancers from as far away as South Cumbria, Edinburgh and Dundee. You can see some photos in our Galleries. We held a workshop to go over the dances in RSCDS Book 52. You can see some photos from the workshop in our Galleries. 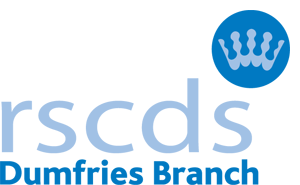 We are the local association of an international movement known as the RSCDS. Our main purpose is to enjoy dancing Scottish country dances. The branch was formed in 1947 and currently has around 100 members. If you are a dancer you will find within our web pages where to join in classes, dances and other events in south-west Scotland. If you are interested in starting to dance, here is the opportunity to take up an activity that provides healthy exercise to keep you fit, mental activity to keep your brain alert and a great social life with people who enjoy dancing to great Scottish music. What is more, Scottish country dancing is a relatively cheap pastime, there is no need for special dress (though many dancers acquire traditional items) and you do not have to have a partner.